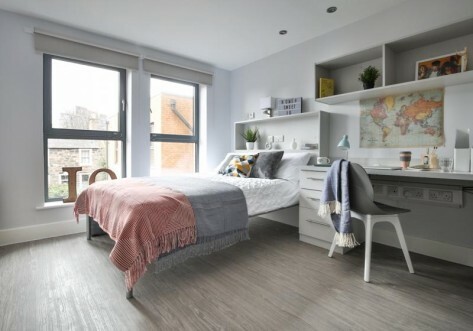 Newly opened in 2016, The Mill House offers a variety of room types including en-suites and studios with great transport links to local universities and the city centre. Each room type offers great storage space, a comfy small double bed, a large work desk and an en-suite shower room. 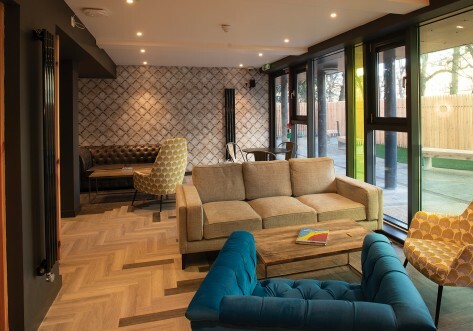 An outdoor courtyard with a games area is just one of the amazing social spaces that The Mill House has to offer. There is also an onsite gym and a quiet study area that is exclusively for residents to take advantage of. The management team also provide regular social events so there will never be a dull moment! Don’t be afraid of missing out on your favourite shows while at uni as all shared kitchens and studios are fitted with a TV. Visit our website for our latest offers! We're currently sold out, but rooms may become available please call or email us to join our waiting list. Located on Gorgie Road its hard not to miss the location. With excellent links to surrounding unis and the City Centre. All our usual fab features of our en-suite rooms with a small double bed, shower room, study desk and ample storage. Then off to the shared kitchen/living room, with all its mod cons, when it’s time to cook. These rooms are available in 5 and 6 bedroom flats. 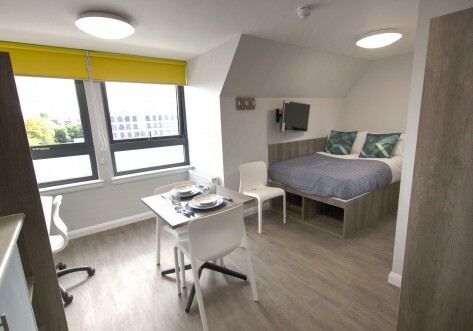 Looking for student accommodation a little bit different – our attic en-suite rooms have all the same great features of the Silver and Gold en-suites but now with top-floor views. The same fab features as the Silver- with a small double bed and en-suite shower room, plus storage aplenty. Then off to the shared kitchen and social space when ‘feeling peckish’. These rooms are within 4 bed cluster flats so the kitchen feels much more spacious. Self-contained studio living starts here for you and perhaps your plus one. If you choose to share the en-suite shower room, small double bed, bags of storage, kitchen and study areas there’s no more to pay. Same great features as the Bronze, but now with more space and better views. This beauty of a studio, bigger than Silver but with the same quality features and fittings, comes with guaranteed space. Ideal if you’re flying solo and like to spread out or there’s room enough for two to share at no extra charge. Really spacious studios with all the features of a Gold but even more room to spread out. Prices shown are per studio per week. Studios here don’t get any better. 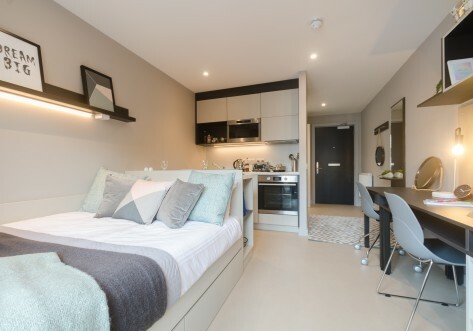 There’s loads of space to enjoy all to yourself, or why not share the small double bed, en-suite shower room, generous storage, kitchen and study area?